Visit the website for the Marin Gyrotonic Studio and just beneath the logo, you can see the tagline “The Art of Exercising and Beyond”. 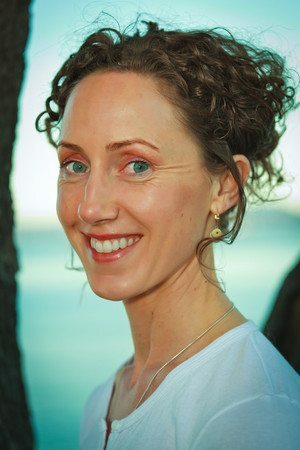 And for the owner of Marin Gyrotonic Studio, Alicia Rypma, gyrotonic truly does go beyond exercise by providing an outlet for grief and facilitating mind-body awareness. Standard dictionary definitions peg gyrotonic as a pulley-weight system used for suspending, elongating, and opening the body, but for Alicia and her clients, gyrotonic is so much more. It is this “beyond” that Alicia centers her work at the studio around, and this “beyond” is where Alicia’s real passion lies. The literal suspending and compressing mirrors the clients’ own processes of attaining stress and trauma and then learning to exhale negativity and inhale positivity. Gyrotonic acts as an opening system that instills strength and a sense of self into those whose lives it has touched. But beyond internal change, gyrotonic also has been proven to better relationships and open up communication. “Gyrotonic work helps people open and align their frequencies, their cellular makeup. It creates a lot of openness in ourselves and a lot of compassion. The more you connect with your own inner self [the more you can] change people’s lives. I have stories where some women have come up to me and said they’re connecting more with their daughter than they’ve ever had, that they’re connecting more with their husband and have a nice, stable connection.” Indeed, the Marin Gyrotonic Studio has positively transformed the community of those who have attended the studio’s private and group sessions or even just gone to the studio to snag a quick workout themselves. In the long run, Alicia hopes to refine her studio by giving more teacher trainings and continuing to provide a space where people can come to have nourishing and enhancing workouts. Alicia is a strong believer in the positive inner and inter effects of exercise and wishes to expand her studio to attract a more global community. But until then, Alicia is more than satisfied with her work as owner and master trainer at Marin Gyrotonic Studio. She has seen the beneficial power of gyrotonic within her own life and wants to share that positive experience with as many people as possible. Alicia starts and finishes each day by banging the gong nine times, the sound of the rhythmic beating resonating in her heart and mind, helping to heal, helping to begin anew.